Global search in CRM for Tablets executes Quickfind view across the entities specified in the System Settings. Internally the tablet client uses ExecuteQuickFindRequest to perform this quick find search. We can perform the same request using OrganizationRequest. Let’s look at the code. Here is the result after executing this code. The maximum number of entities you can specify in the EntityNames parameter for this ExecuteQuickFindRequest is 10. This is after I read http://crmtipoftheday.com/2014/05/06/test-crm-for-tablets-from-a-pc-browser/. I ran Chrome DevTools and traced the requests. 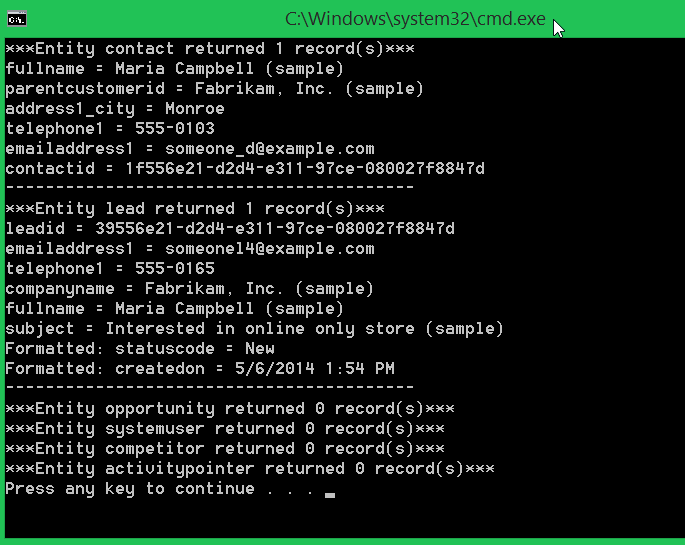 Now with Win8, you install the CRM app and trace it using Fiddler. Can you please share how you found out about the ExecuteQuickFind request and its parameters?